In America, you may see an occasional burn barrel in someone’s backyard, but we aren’t known for burning our trash on a larger scale. The main concern with burning trash is pollutants that get released into the air during the process. Instead, almost all of the waste produced in this country is buried in landfills, with about 31% being recycled. 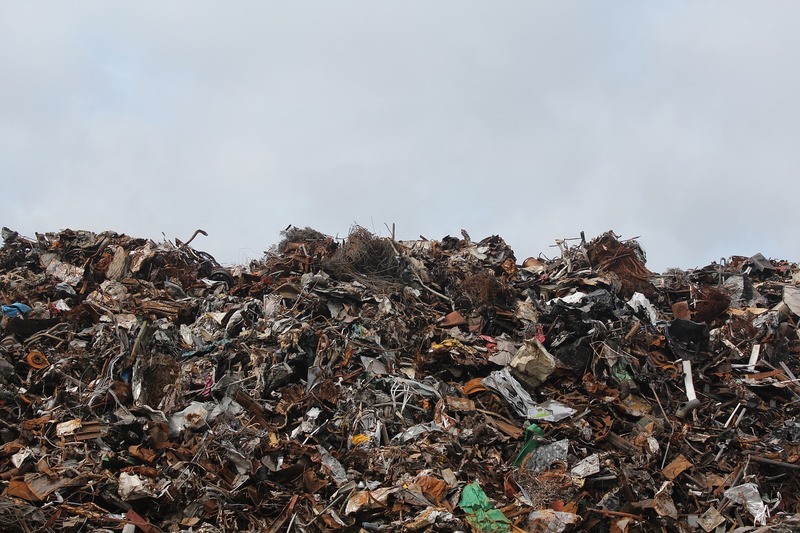 In many countries in Asia and Europe, there’s a growing trend of trash burning that turns waste into recycled energy. This is done in waste-to-energy (WTE) facilities. With this new modern take on handling a country’s trash, it brings up the question - is burning trash really that bad? Below, Ranger Mac will take a look at the pros and cons of landfills and trash burning to compare the methods in a modern setting. When we throw our waste into the garbage barrel to be picked up curbside, we see it as gone and quickly forget about it. But there really is no such thing as “gone” when it comes to our trash. That garbage is just picked up and dumped at the nearest landfill to be buried over time by even more trash. Land that’s used for waste disposal is lost to both the surrounding ecosystem and our own use for more productive developments. Toxic substances can leech out of the landfill into surrounding groundwater, and as our population grows, these landfills are spreading at an alarming rate. Reducing that waste by recycling is a great idea. In reality, however, the impact isn’t that great, as people throw away recyclables in the trash and recycling plants struggle to keep up with what waste does come their way. So what can we do? Individually, it’s imperative that we do our part by recycling what we can and choosing reusable options over disposable ones. Fill up a coffee thermos in the morning, bring your own reusable grocery bags to the store, and sip your drink at the restaurant without a plastic straw. But these solutions won’t fix the problem of ever-growing landfills that will eventually just take over. Individual trash disposal isn’t the only major source of waste, since companies throw out tons of trash each year as well. We as consumers are not only adding to the waste problem, but also the toxic air problem. The fleets of garbage trucks that pick up our waste are using diesel fuel that pollutes the air. So just how exactly is filling up that landfill better than burning trash? Those who are against WTE plants say that burning plastic releases too many toxic fumes into the air. This may be true, but is the diesel fuel of the garbage trucks much better? Sure, by using landfills, we are adding fewer pollutants into the air, but that comes at the cost of filling our environment with trash that does not biodegrade and hurting species of plants and animals all over the world. The WTE plants over in Europe are handling two problems at once. Not only are they solving the problem of trash buildup, they are also turning it into an energy source for electricity. Their air isn’t full of smog, and trash isn’t overtaking the landscape. So why hasn’t the US followed suit? The US actually does have 90 WTE plants that convert the heat of the burned trash to electricity too, but this accounts for less than 15% of our country’s trash disposal. So if there are already 90 of these WTE plants, what can be done to get more of these plants up and operating in the US? There is the debate mentioned above that burning some types of trash, such as plastics, releases toxic fumes into the air. There is also the initial cost that goes into building these plants, as well as political issues concerning air quality and plant locations. The burning of trash in open air does create some gas emissions that are not good for our air quality. Based on the location of the burning, it could affect residential areas. An estimated 40 to 50 percent of trash is made up of carbon by mass, meaning that when burned, a lot of carbon dioxide is released into the air. There are methods that are used in WTE plants to minimize the impact of air pollutants, but more studies definitely need to be done to see if there’s a way for trash burning to work even more cleanly, or if it will just create new problem to be dealt with later. If cities want more of these WTE plants to be built, they need to make sure they are cost effective and in locations that will benefit the needs of those living in the area. The price is a big problem, with these facilities costing around $650 million per plant to be built. With a price tag that big, it would take a long time for the cost of one of these plants to benefit the citizens living nearby. Should the US Start Burning its Trash or Just Keep Burying It? With a giant price tag for a WTE plant and the concerns over gas emissions going into the air, filling our rural areas with waste-to-energy plants does not look like something that will be happening any time soon. Is it something that could happen in the future? Sure. The EPA states that, “ The decision to build a waste-to-energy facility depends on many factors, including geography and population density, the willingness of citizens to accept the technology, the willingness of investors to support it, and on state and local officials who determine how solid waste is handled in particular area of the country.” And over time, new technology could allow WTE plants to function with more efficiency and less air pollution. In the meantime, we need to continue looking at the landfills for motivation to recycle and compost more, as well as use fewer disposables. This mentality will also have the benefit of creating agricultural and recycling jobs. Using reusable bags, cups, and takeout boxes are things we are all capable of doing on our own to help, as the debate to bury or burn rages on. If you want more information on how to keep our land clean, check out Ranger Mac’s guide to leave no trace when hiking and camping!